Originally from Orlando, Florida, Kip Riecken served as Principal Viola of the Civic Orchestra of Chicago for the 2015-16 season. During the year he performed with the Chicago Symphony Orchestra, the CSO’s MusicNOW division, Fifth House Ensemble, for the soundtrack for the Spike Lee film “Chiraq” and had the honor of working with Riccardo Muti, Semyon Bychkov, Manfred Honeck, Sir Andrew Davis, and Yo-Yo Ma. 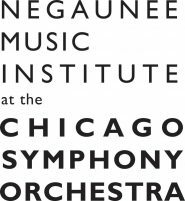 Before coming to Chicago Kip performed regularly with the Orlando Philharmonic Orchestra, the Tallahassee Symphony and the Orchestra of Northern New York, and was a principal violist of the National Orchestral Institute in 2010. Recent summer engagements include the National Repertory Orchestra in Breckenridge, CO and the AIMS Festival Orchestra in Graz, Austria. Kip has performed chamber music in Rochester, NY, New York City and the Schloss Eggenberg in Graz, Austria. As a Viola teaching artist with the Chicago Metamorphosis Orchestra Project (ChiMOP) in the Austin neighborhood of Chicago, Kip explored his belief that musicians should be incredible performers and educators yet also great and aware citizens. He examines this idea further, along with practice and playing methods, through an independent study of the Alexander Technique, with his personal pursuits and dedication in the field earning him a scholarship to attend the 2015 International Congress for the Alexander Technique in Limerick, Ireland. He enjoys writing on the subject and has worked with top Alexander professionals including Missy Vineyard, Pedro de Alcantara, Vivien Mackie, and Ruth Murray.